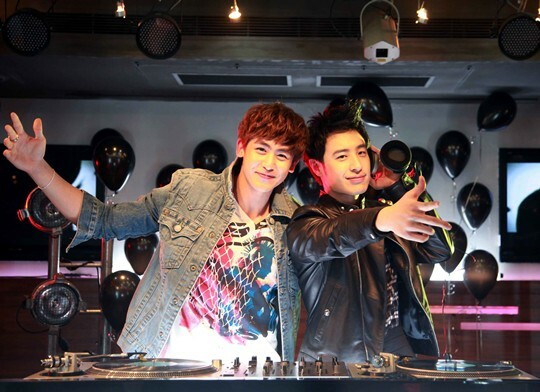 2PM's dashing Nichkhun puts Wilber Pan "on the spot"! Nichkhun sends a Weibo message to Wilber Pan inviting him to the Taipei leg of 2PM's Hands Up Tour, saying, "you have been invited to 2PM's Hands Up Tour~ see you real soon!" Wilber Pan amusingly replies, "Lol u putting me on the spot! I will try to make it! If i cant ! U are invited to the Taipei "food tour"! Lol ~Everybody Put your hands up for Nich for the taipei concert!" Nichkhun sounds like he's up for some yummy food, "Food tour sounds amazing!! Show me real taiwanese foooooooooood!!!!" The two seem to have maintained a close friendship after Nichkhun starred in one of Wilber's music videos at the start of the year.